Should You Crowdfund Your Mortgage Down Payment? One of the main hurdles to getting a mortgage—aside from improving your credit history and scores—is saving enough money to cover your down payment. More than 1 in 10 buyers believe saving for a down payment is the most difficult step in the homebuying process, according to the National Association of Realtors 2018 Home Buyer and Seller Generational Trends Report. This is especially true for buyers who are age 37 and younger, of which 24 percent report having the most trouble coming up with down payment funds. Another report says the top concern among millennial homebuyers is having enough money for a down payment. Fifty percent of respondents in a recent Redfin survey of 24- to 38-year-olds cited this as their primary obstacle. 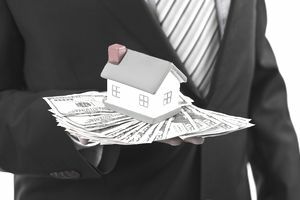 Sometimes the more traditional ways to save for a down payment, such as saving aggressively or borrowing from a retirement account, may not get you to the amount needed to purchase your home. One alternative is tapping platforms similar to GoFundMe and Kickstarter, which allow you to raise money to meet your goal. Here's why you should consider crowdfunding your mortgage. Should You Crowdfund Your Down Payment? Crowdfunding is traditionally defined as using small amounts of capital from a large group of individual contributors to finance a new venture, according to Investopedia. Aspiring entrepreneurs looking to secure funding for their business, or nonprofit organizations needing to fundraise for an upcoming initiative might find that a crowdfunding website can help them reach their goals. This same concept can be applied to personal endeavors, including homeownership. In fact, there are crowdfunding platforms dedicated to homebuyers who need extra help collecting money for their down payment. One such platform is HomeFundMe, from mortgage banking firm CMG Financial. HomeFundMe is described as "the first industry-approved crowdfunding service providing homebuyers the support, education, and platform they need to crowdfund a mortgage down payment," according to a press release announcing its launch. Once a user creates a HomeFundMe account, they are directed to complete an online application for mortgage prequalification. If all goes well, they'll be able to build a campaign, promote it and begin crowdfunding their down payment. Homebuyers who use HomeFundMe are also encouraged to complete a homebuyer education course—for which fees will be covered. Additionally, for buyers who earn less than their local average median income, HomeFundMe matches $2 for every $1 crowdfunded, up to $2,500 or 1 percent of the purchase price, whichever is lower. Buyers who earn more than the average median income can receive $2 for every $1 crowdfunded up to the lesser of $1,000 or 1 percent of the purchase price. A few caveats: HomeFundMe users must borrow with CMG Financial for their home purchase and they only have 12 months to close on a home after receiving their first contribution. Unlike most crowdfunding platforms, HomeFundMe doesn't charge fees to its users. All contributed funds go directly to the home buyer's down payment unless any of the contributors designate their portion of the money as non-conditional to the home purchase. Another crowdfunding service dedicated to helping potential homebuyers is Feather the Nest. Users register on the site, build a "nest" and share it with their social networks to garner support. Money is transferred to nest owners within 10 minutes of each contribution made toward their goal amount. Aside from down payments, site users can also raise funds for a home renovation or other real estate-related initiatives. There is a transaction fee of 5 percent for every contribution, however. Your down payment is crucial to your home purchase and the more you're able to contribute, the better you'll start off as a homeowner. You're likely to receive a more competitive mortgage interest rate and—if you save and crowdfund enough for a 20 percent down payment—avoid the need for mortgage insurance. In addition to implementing tactics like automating savings and crowdfunding, consider stashing away any windfalls from a bonus or a tax refund to help boost your down payment amount. Starting your homeownership journey with a decent amount of equity should feel like a noteworthy accomplishment. The American Dream Downpayment Initiative—Are You Eligible?